Use brown sugar and any household object to make a chocolate mold - the possibilities are endless! For any shape : Arrange Qtips, Spray paint over, and then remove Qtips. Reuse jar lids and make cute plates for block candles. Line fridge shelves with Saran Wrap's Press and Seal, then peel off and replace when dirty. You can do this to the top of the fridge too, so it doesn't get all dusty and greasy. Crisco Candle for emergency situations. Simply put a piece of string in a tub of shortening, and it will burn for up to 45 days. Campers!! When camping, stick a headlamp around a gallon of water and it will light up the tent. Fill a small saucepan 1/2 with water. Add your ingredients, bring to a boil over medium heat, reduce heat to simmer. Pay very close attention, refilling with water as necessary. Never leave unattended! Discard after two days. Cupcake liner to keep bugs out of your drink while outside. Line your cabinet under the kitchen sink with peel and stick tile. Easy to wipe and helps cover already damaged cabinet bottom or helps to protect a new cabinet. Also could work well for bathrooms! Place sticker letters on wooden sign, Paint, then peel off stickers. Elmer's glue on canvas. Then paint the whole thing one color. Heat a bowl of water and vinegar for 5 minutes in the microwave. The steam will get rid of stains and then you simply wipe it off. 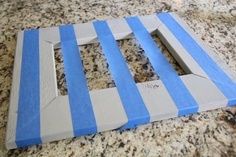 Dress up a cheap frame by decorating is with glue, let it dry, and then paint over it with one solid color and it looks like a specialty carved frame! 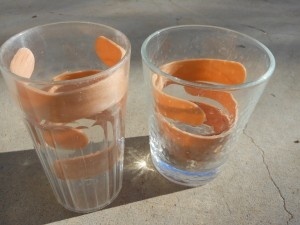 Craft sticks, boiled in water for 15-20 min., will bend into cups and then become bracelets. fun....then paint and decorate. 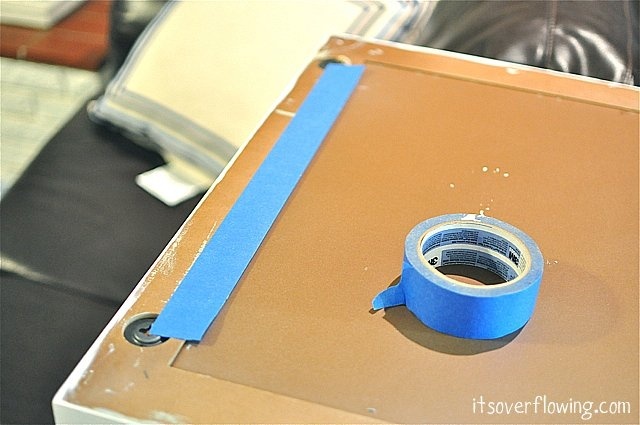 Use tape to measure distance between the two holes, then put the tape on the wall.